Spin a coin on a flat surface, and it spirals much like a planet orbiting a star — at least until it runs out of steam and rattles to a stop on the table. But spin a wedding ring the same way, and it will make a surprising abrupt turn, following a trajectory more like a boomerang. North America has finally run out of new addresses based on IPv4, the numbering system that got the Internet where it is today but which is running out of space for the coming era of networking. The American Registry for Internet Numbers, the nonprofit group that distributes Internet addresses for the region, said Thursday it has assigned the last addresses in its free pool. The announcement came after years of warnings from ARIN and others that IPv4 addresses were running out and that enterprises and carriers should adopt the next protocol, IPv6. IPv4 dates back to 1981 and only has room for 4.3 billion unique addresses. IPv6, introduced in 1999, should have enough addresses to serve Internet users for generations, according to ARIN. We finally have a workable virtual-reality platform, but plenty of obstacles are between us and a Star Trek-style holodeck. If you reach out to touch a table, you’ll feel the molecules of that piece of furniture push against your hand. Do the same thing in virtual reality, and you’ll feel nothing. This is a problem — and it’s one of the few that Oculus VR says it has no idea how to solve. The company held a keynote address as part of its annual Oculus Connect developers conference today, and it put on something of a parade of its top talent. Business-development leader Anna Sweet, Oculus founder Palmer Luckey, and even Facebook founder Mark Zuckerberg all took the stage. But one of the more interesting points came when Oculus chef scientist Michael Abrash gave an in-depth speech about everything the company needs to do to go from where VR is today to where it should get to in the future. Abrash talked about improving the visuals with a wider field of view. He talked about providing 3D audio. He even speculated about creating a chemical-based way to deliver various smells to Rift users. For every problem, he posed a solution that is either possible today or one that the company sees a way to work to in the future. Well, he did that for every problem except one. Abrash pointed out that no one is even working on a technology that will make it feel like your hand is touching a table where no table exists. This is something I asked Palmer Luckey about in a conversation we had a few months ago. He told me — and Abrash’s talk today reiterates this point — that the company wants to solve every aspect of VR. He essentially wants Oculus working on a way to fool every one of your senses. When I asked him about touching an object and feeling like it exists, that led us to the aforementioned Star Trek holodecks. That sci-fi technology manifests protons that it can give mass to. When I posed that idea to Luckey as a joke, I was surprised that he had already considered the idea. “Photons are a dead-end,” said Luckey then. So while Oculus doesn’t know what will work to make objects feel real in VR, it has already scratched one idea off the list. It’s Oculus Connect keynote day, and the company had a lot of stuff to announce despite a claim that consumers shouldn’t get too excited about the event in Los Angeles. While Oculus is planning to release the amazing new Rift headset in Q1 2016, one of its biggest partners, Samsung, revealed it will release the consumer version of Gear VR in November for just $ 99. This will work with Samsung’s Galaxy S6, S6 Edge, S6 Edge+, and Note 5. Both Rift and Gear VR will need a lot of VR content, and Oculus is planning to update its software-development kit to help studios do exactly that. One of the big things this SDK will come with is direct drivers — this will enable the headset to work without having to fiddle with setting up the Rift as an external monitor. This is a 1980s-style arcade simulator that enables you to feel like you’re playing Pac-Man at a stand-up machine. Developers are working on plenty of games for virtual reality, but Oculus is expecting all kinds of content to make the leap to its Rift and Gear VR systems. 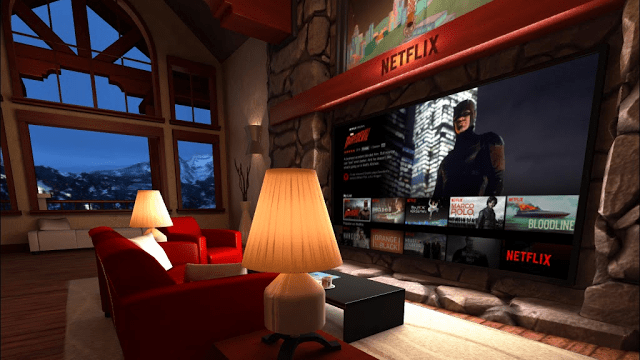 That includes video services like Netflix and Hulu — the latter of which revealed it is planning to build VR-native videos. You’re gonna need a beefy PC to use an Oculus Rift, but you won’t need to guess if certain systems will work. Oculus announced it will work with hardware manufacturers like Dell, Alienware, and Asus on a line of “Oculus Ready” rigs that cost less than $ 1,000. Microsoft is planning to make the Windows 10 Edition of its block-building game Minecraft compatible with Xbox One. Facebook, the owner of Oculus VR, has said that it won’t try to make a lot of money on the Rift hardware. That means it’s going to make the real cash on the app and software side. And we saw a little bit of that today when the company revealed how its platform will handle social features, analytics, and distribution. The incredible Oculus Touch controllers, which brings your hands into VR, aren’t coming out until Q2 of 2016. But here’s a trailer to show what they can do. Oculus chief executive officer Brendan Iribe said that every new platform needs a paint app, and Medium is what his company is calling its take on 3D drawing. Volkswagen’s emissions cheating scandal is getting worse fast, and the executive board is in full-speed amputation mode. The post Porsche Boss to Take Over VW as Bloodletting Gets Going appeared first on WIRED.